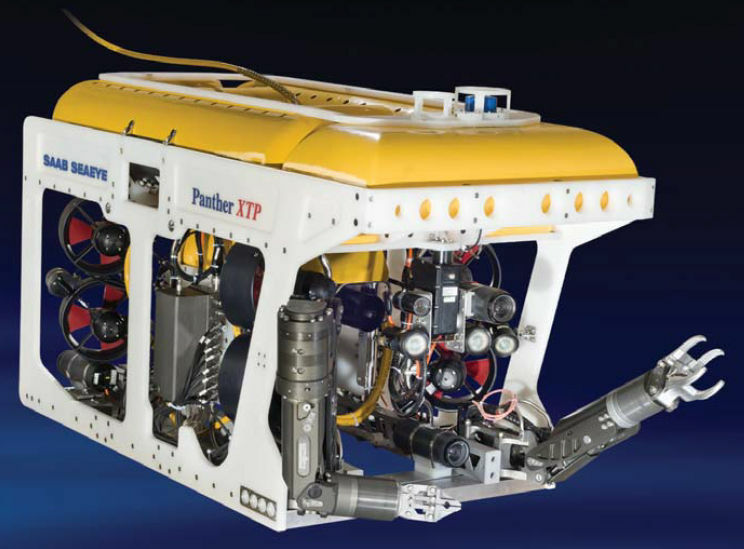 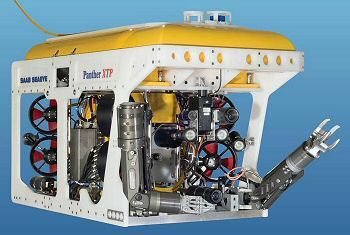 The Seaeye Panther-XT Plus has been developed as a high performance version of the proven and versatile Panther-XT.It has double the horizontal thrust and an increased payload to carry a wider range of tooling, including Schilling Orion manipulators. Operational depth of 1000 msw 150 kg payload Exceptional thrust and speed Schilling Orion 7P and 4R manipulators Greater redundancy from additional thrusters Full range of handling systems and accessoriesThe new high performance Panther-XT Plus combines the capability of precision manipulative tasks with operation in high currents, whilst maintaining a very compact package and footprint.With a new design of front end and enhanced tooling capability, the Panther-XT Plus can be fitted with Schilling Orion manipulators and boasts a power to weight ratio of more than twice that of its competitors.The new Panther-XT Plus is probably the fastest swimming light work ROV in the world. 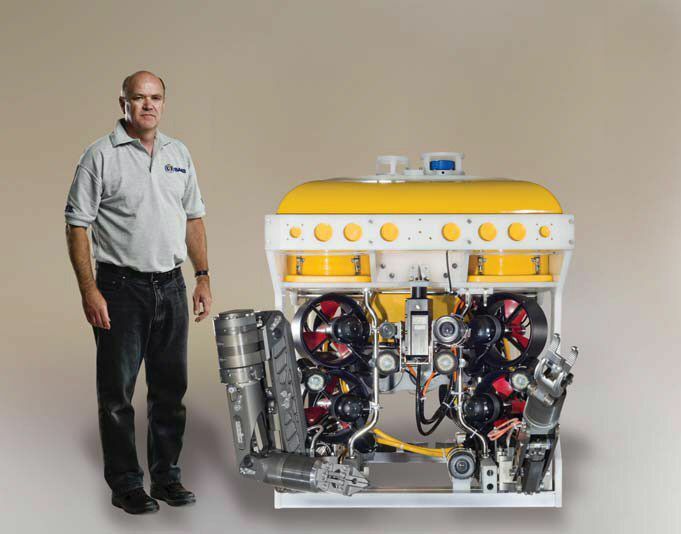 At over four knots, it stands apart from other work ROVs. 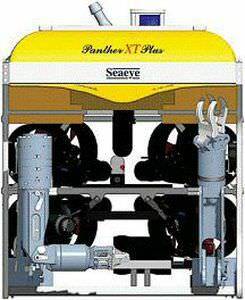 Its ten powerful SM7 thrusters not only power the ROV along, but hold the vehicle steady in strong currents during work and observation tasks.This latest version of the very successful Panther series gives ROV operators a vehicle unrivalled for handling a wide range of work tasks in a compact light-weight package.The customisable Panther-XT is designed as the new Saab Seaeye benchmark for electric work ROVs and challenges heavier and more costly hydraulic vehicles, particularly where deck space is at a premium.